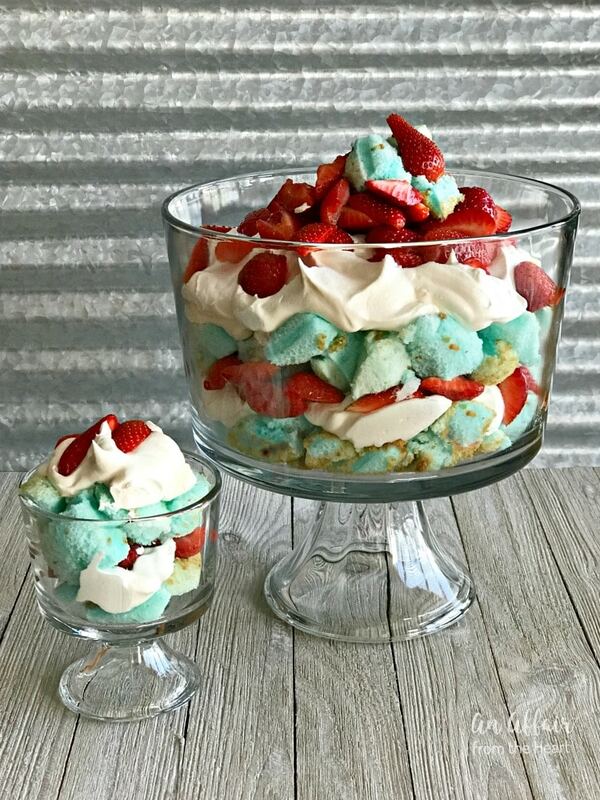 Tinted blue angel food cake, layered with non-dairy whipped topping and fresh strawberries make this a perfectly patriotic dessert! 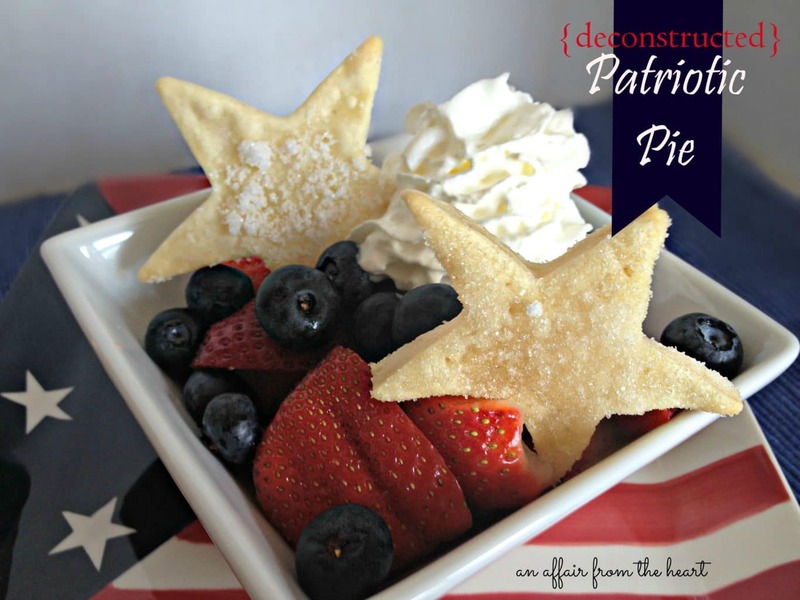 Looking for a super easy but super festive dessert for your 4th of July party this year? 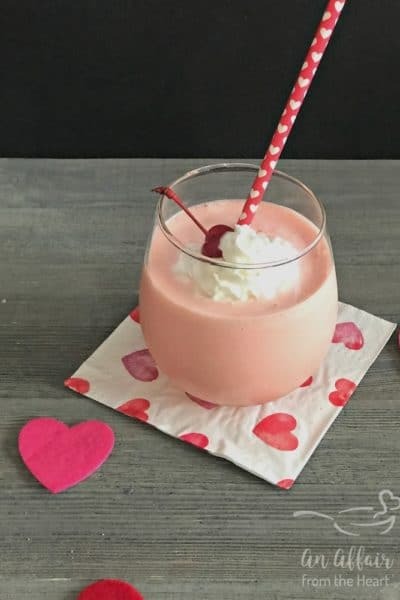 Or maybe just a fun dessert to share with the kiddos? I believe that you have come to the right place. 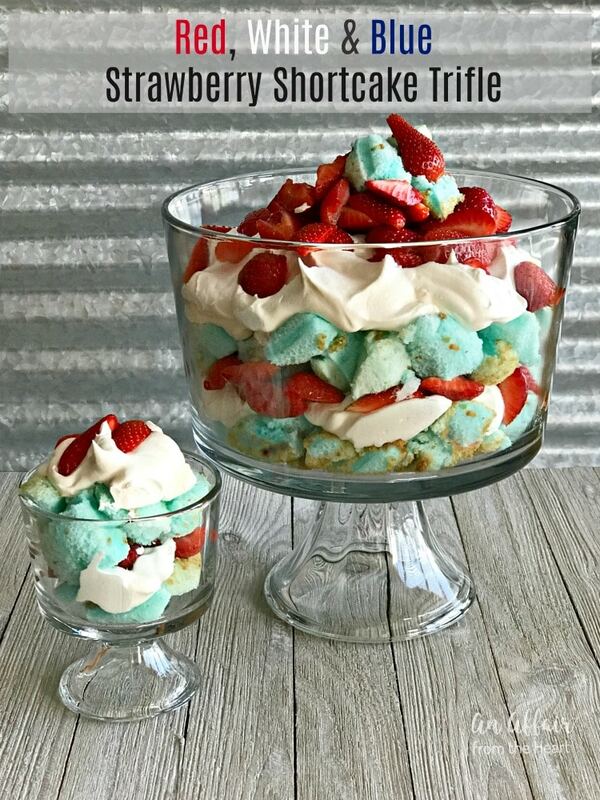 This Strawberry Shortcake Trifle is so easy to make – it’s perfectly easy and really fun to let the kids in the kitchen and help! 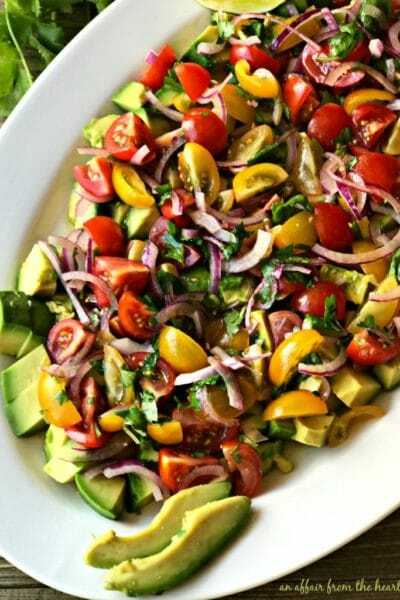 I originally made this recipe back in 2012, and event hough I have made it countless times since, I have never updated the photos. My pictures have come a little ways since then, and I decided you all deserved to see this one again! I have made it red, white and blue like you see here, but you can tint the cake any color you like. Here is a pink version I did for a friend’s party. I loved it in pink … but well .. I’m kinda girly like that! Since colors are pretty much endless… So are your possibilities!! 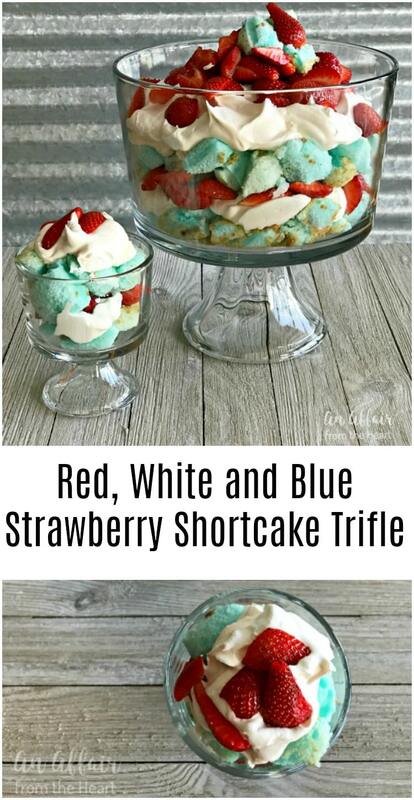 Simply tint your angel food cake as it whips, bake it up, cut into chunks and layer it in a trifle dish to make this red, white and blue beauty!! Change up the cake color, the fruit… just have fun!! 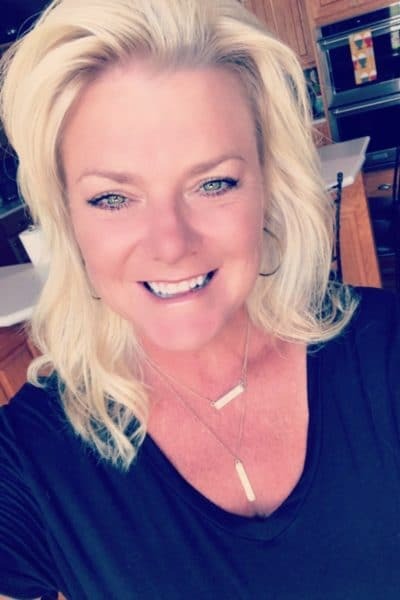 What can you come up with? 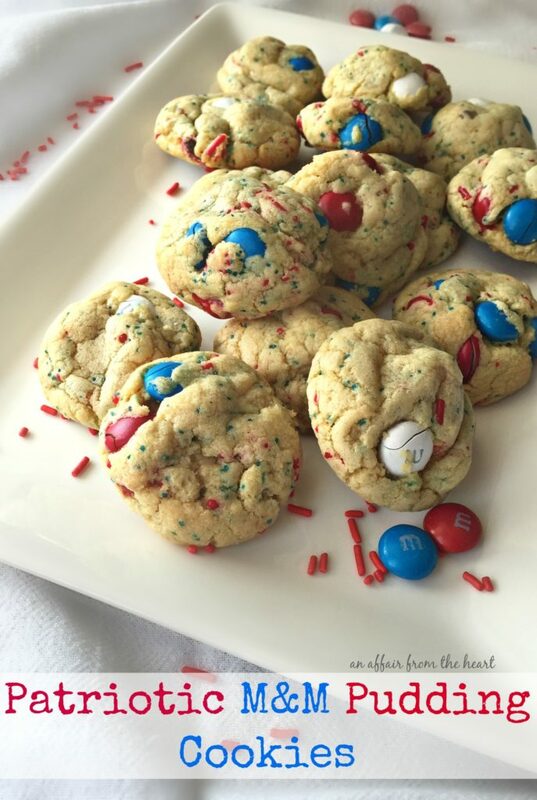 PATRIOTIC M&M PUDDING COOKIES Soft and chewy vanilla pudding cookies, dressed up in their red, white, and blue with M&M’s and sprinkles. 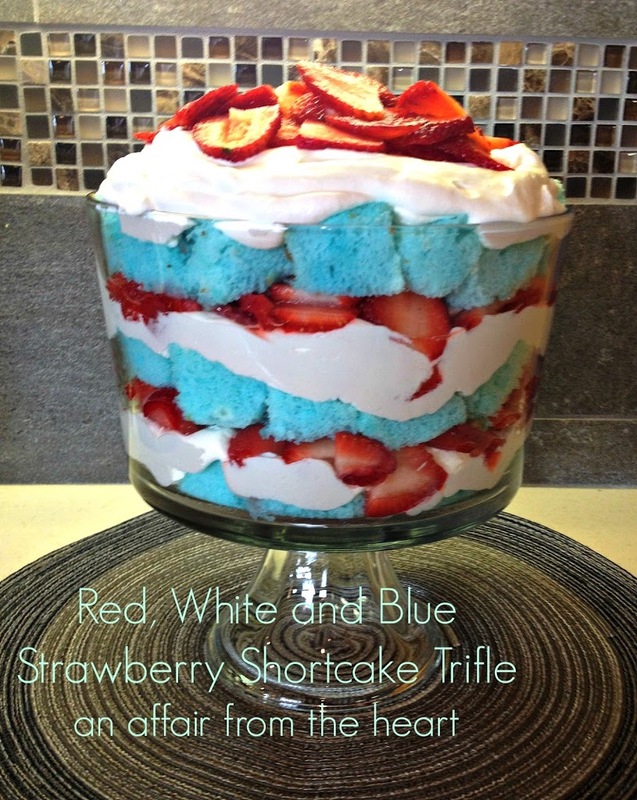 Tinted blue angel food cake, layered with whipped topping and strawberries make this a perfect patriotic dessert! 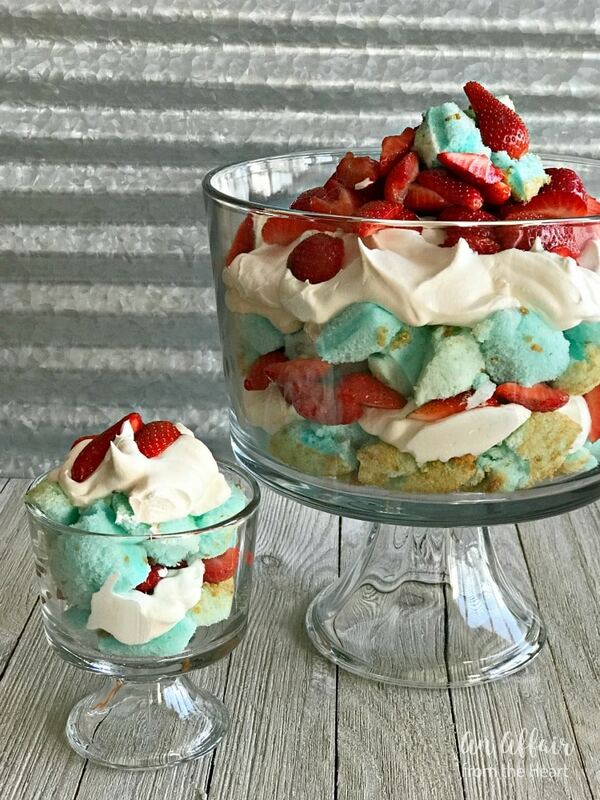 There really isn't a "recipe" for this trifle, just simple make the angel food cake according to the package instructions, tinting the batter blue before baking. 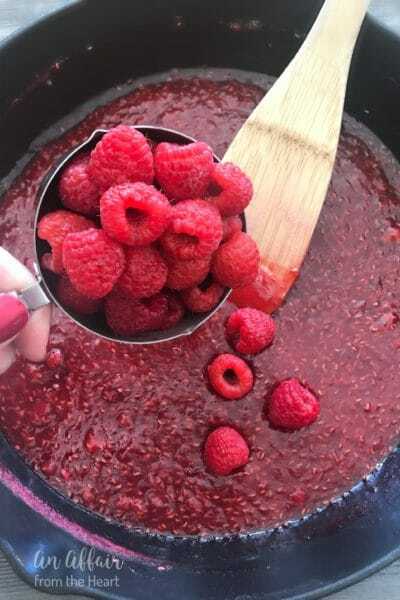 Cut it into bite sized pieces when cool and layer with either cool whip or whipped cream and strawberries in a trifle pan. I love my Trifle Bowl Set!! You can have one, too! What did you use for the white part? Whip cream? Vanilla pudding? How did you tint the angle food cake? DId you dip it in food coloring or what? Melissa, You add the food coloring to the batter for the angel food cake until you get the desired color, then you bake it. Did you just cut the cakes in squares and place them around the container or did you leave them in there as a whole? I love to make trifles, but this is a whole new twist. I am imagining orange cake for Halloween, with chocolate whipped cream! 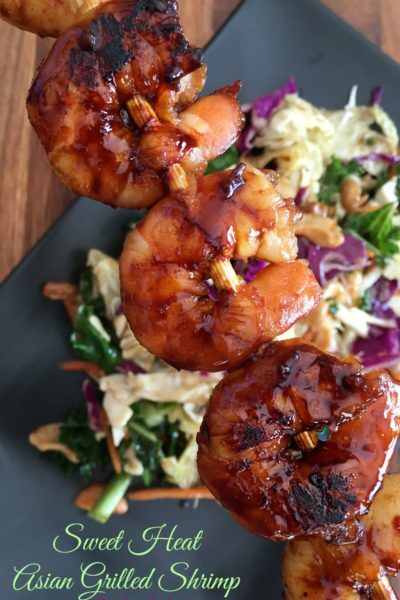 This looks great for Independence Day, thanks for sharing! It was kind of a duh moment I was trying to figure out how you tint the cake. I was thinking of using store bought never thought of baking lol! Thanks for sharing I love this idea for a Dr. Seuss theme party. 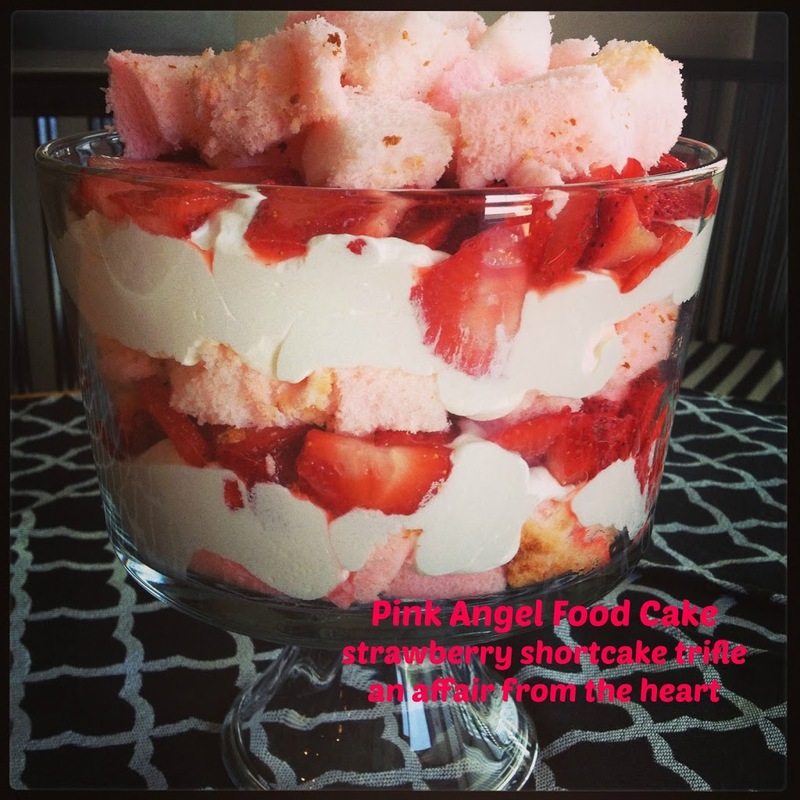 I am going to make this and use the juice from the strawberries to tint the angel food cake pink. 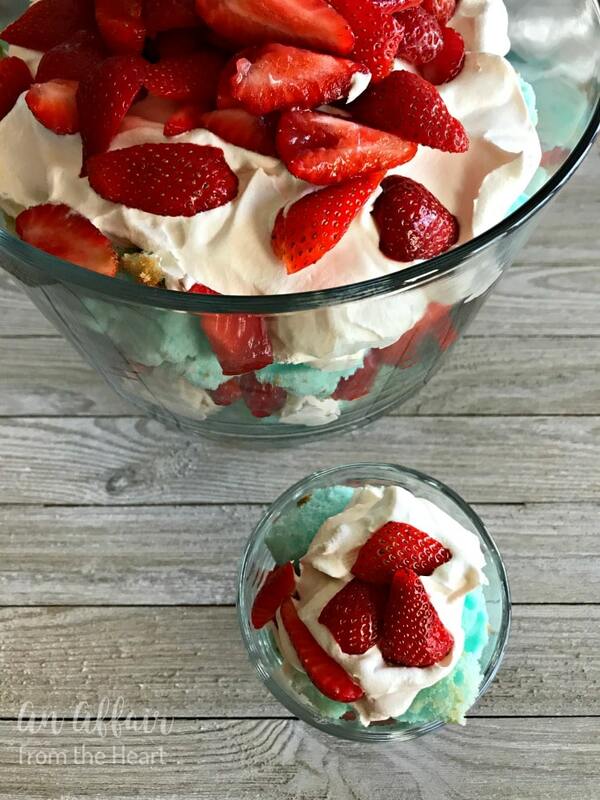 Im going to make it and use store bought angel food but tint the cool whip blue and add strawberries and blueberries for my Memorial Day dessert. Could this work if I use white cake and dye it blue? Not a big fan of Angel food. I think so! It may crumble a bit more, as I think white cake is a bit more delicate, but I’m sure it would be just fine? Pound cake would work great, too! How long does it stay good for. 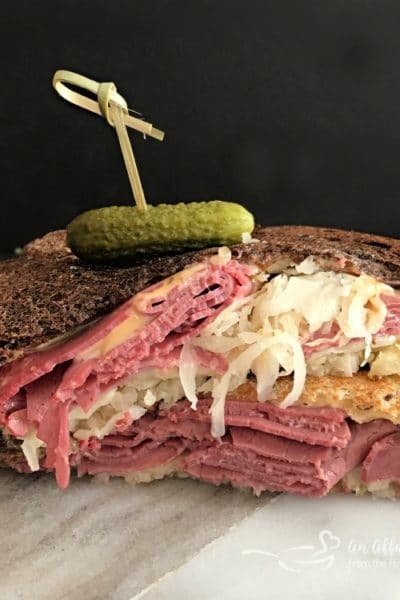 I want to make it for a BBQ but not sure if I need to do it immediately before leaving the house. As I don’t want it to get soggy. Thanks! I would just make the cakes and cut it and put it in a ziplock, cut your strawberries and keep them separate – assemble when you get to the party. It will get soggy if you make to early. Enjoy!